More than 150 million Americans are expected to shop on Black Friday 2017. You know what that means? Black Friday marketing campaigns are essential on the busiest shopping day of the year! If you’re searching for ways to make your Black Friday promotions and advertising stand out, and want to get a creative ShortStack campaign out in the wild but aren’t sure where to start, I’ve got you covered. I’ve rounded up a batch of unique Black Friday marketing ideas for brick-and-mortar retailers, plus ideas for online retailers and some for non-retailers. To make things even easier for you, all of my Black Friday ideas are based on ShortStack templates, so you can get started as soon as you’re finished reading this post. Last year, more than 63 percent of Thanksgiving weekend shoppers indicated that at least half the purchases they made were “special” offers. With many retailers looking to get bargain hunters through their doors, there’s a lot of clutter to break through to make your Black Friday advertising stand out. The next four campaign ideas are the ultimate doorbusters! You and every other retailer is going to offer a great deal or two on Black Friday. Why not sweeten the incentive to come and shop at YOUR store by giving folks who stop by a free gift? Set up a Black Friday freebie campaign using our Limited-Entry Giveaway template to give away a limited number of free gifts. 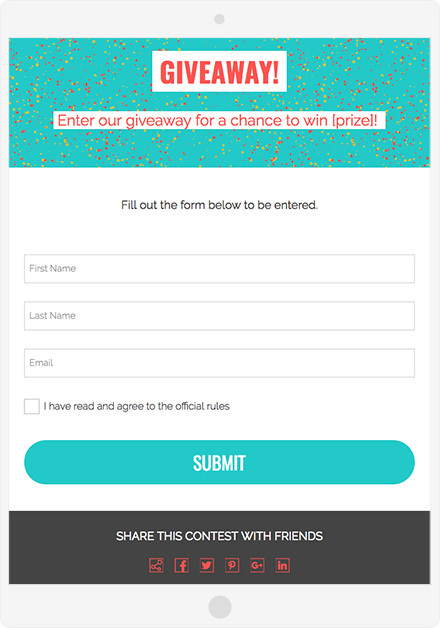 With this template, you set up a maximum number of entries that the form accepts. 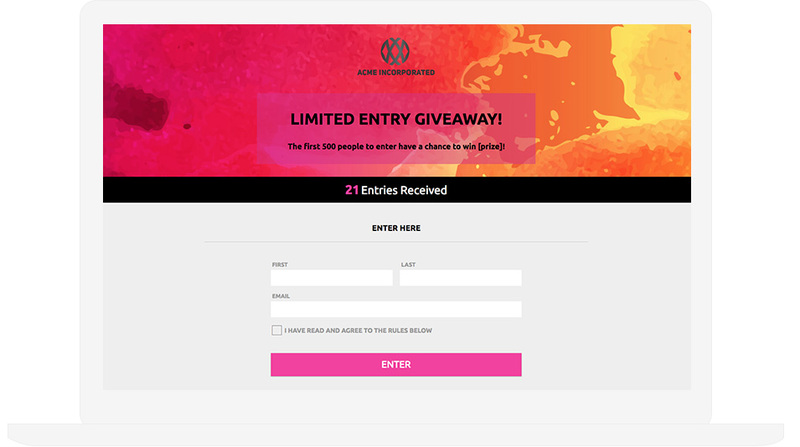 Once the entry limit has been reached, a new form displays, encouraging people to submit their information so they can stay in-the-know about your upcoming sales, giveaways, etc. Use the Limited-Entry template for this Black Friday campaign. Take it to the next level: Send an email autoresponder after someone submits the form — the customer presents the email in order to redeem their free gift. This provides an incentive for the user to submit a valid email address, which you can then use for remarketing purposes in the future. I like contests where everyone gets a little something (probably because I never win anything). Our Giveaway + Instant Discount template shares the “wealth” with everyone who submits an entry. For Black Friday, award entrants with a Black Friday-sized discount, maybe like “$40 off” or “25% off” their purchase. In addition to a base-level discount, a Golden Coupon could be the grand prize–think “75% off” or “$100 off” of a purchase. This template also encourages people to share the campaign with friends they think might be interested in the discount — free advertising for you! Use the Giveaway + Instant Discount template for this Black Friday campaign. Want to keep things simple? Try a campaign where folks can just click a button and *BOOM* they have downloaded your coupon. 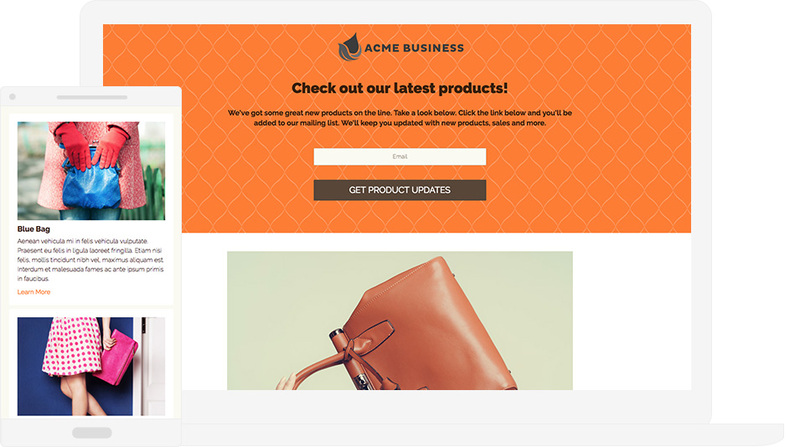 With our Coupon template, there are no barriers to receiving the coupon, just a button on a page. Removing the requirement to submit a form increases the chances that folks will download the coupon, and gets the coupon into the hands of more people. This can be a decent strategy if your goal is to increase the number of customers coming through your door on Black Friday. Plus, there is still a chance for you to collect a bit of data from potential customers. 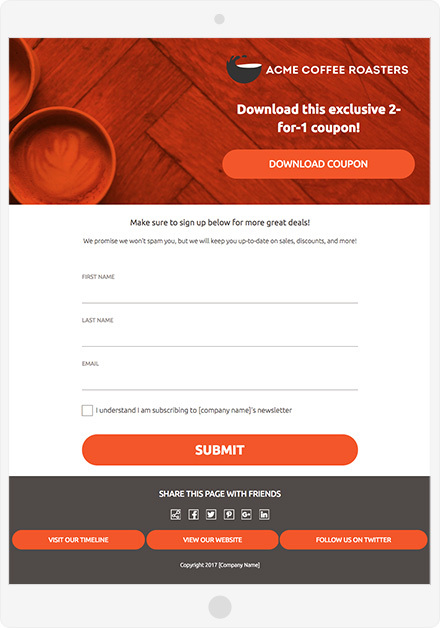 The Coupon template includes a form for users to fill out if they are interested in receiving coupons in the future. Use the Coupon template for this Black Friday campaign. The idea behind this hashtag contest is simple: invite users to take a photo with an item in your store or a purchase they made from your store on Black Friday, then ask them to post the image to Instagram with the hashtag #[YOURCOMPANY]GiftGiver. Shoppers who post their images with the hashtag will be automatically entered to win an apres-Black Friday shopping spree in your store. 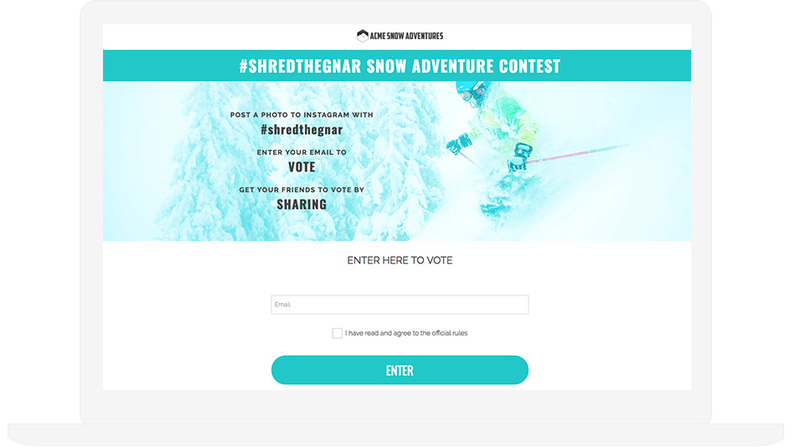 Setting up a contest where people need to submit UGC to enter helps to spread the word about your brand. Also, if people are required to enter your store in order to take a photo, then there’s a good chance they’ll stick around and make a purchase. Use the Hashtag template for this Black Friday campaign. Not everyone wants to take part in the Black Friday store hopping, but they still LOVE to get their hands on Black Friday deals. About 44 percent of Black Friday shoppers shop online, so online retailers don’t need to wait for Cyber Monday to get in on the action. Below you will find four Black Friday advertising ideas tailored to the needs of online retailers. Who says you need doors to have a doorbuster sale? A week or two before Black Friday, set up a ShortStack campaign where folks sign-up for a coupon to some great early-morning Black Friday deals on your website. What’s the catch? People only unlock the coupon if at least, say, 500 people enter. Folks interested in the coupon will share the campaign with friends who might submit their information to unlock the discount–increasing your brand’s reach among potential customers and growing your email list. Use the Unlock Discount template for this Black Friday campaign. While you might have one campaign running with Black Friday coupons and deals, set up a contest for the folks who don’t necessarily want to shop the day after Thanksgiving. A photo contest is a great fit for your Black Friday marketing strategy. Ask people why they need the day after Thanksgiving off, and require them to submit a photo along with a description. Entries could range from a busy parent preparing a delicious Thanksgiving feast to a college student catching up on some homework, a grandmother volunteering at a soup kitchen to an uncle playing football in the backyard with his nieces and nephews. The winner would receive a special coupon code to use in the first few weeks of December, where they receive the same deals that you gave Black Friday shoppers. 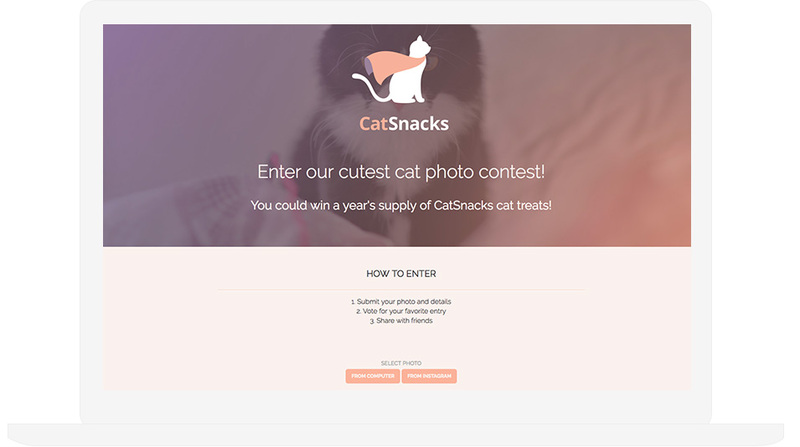 Use the Photo Contest template for this Black Friday campaign. Give your customers the power to choose the deal that best suits them this Black Friday. Where someone might be stoked about $20 off all sweaters, another shopper might really go crazy for buy-one-get-one scarves. Our Pick Your Discount template allows people to choose one discount from those listed, and require folks to submit their name and email address in order to access the code. I love this template because it’s a 2-for-1: it helps you to grow your email list and allows you to do a bit of research concerning what types of deals your customers are most interested in. 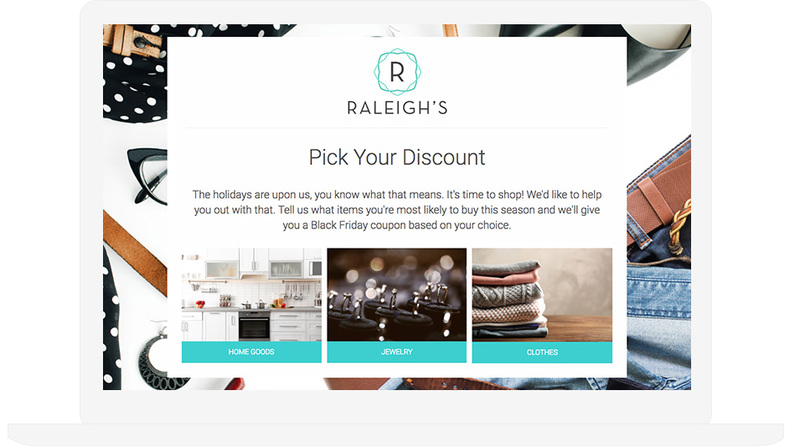 Use the Pick Your Discount template for this Black Friday campaign. Surprise folks by unlocking a different deal each day from Black Friday (or even Thanksgiving) through Cyber Monday. Our Multi-Day Giveaway Calendar is the perfect template for this type of a campaign. Instead of giving away a prize, require people to submit their information to unlock the day’s deal. You could even tease the next day’s coupon or discount to keep people coming back each day. 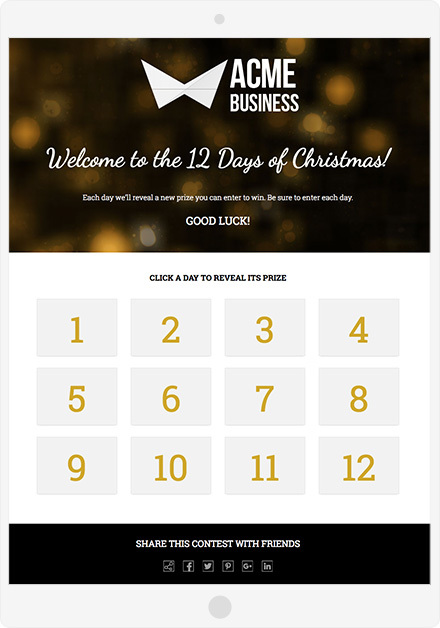 Use the Multi-Day Giveaway Calendar template for this Black Friday campaign. Take it to the next level: Send folks their coupon or discount code via email by triggering an automated email after form submission. Retailers shouldn’t have all the fun on Black Friday. Plenty of service providers, like restaurants and spas, are open, too! I have a couple of ideas below to help draw in folks who might need a shopping break, or target those who would rather take the day to relax. Yes, there may be deals to hunt down and gifts to buy, but shoppers need to eat, too. Restaurants have the opportunity to offer people a chance to take a timeout from long lines and hectic stores. Use our Product Gallery template to display some Black Friday meal specials for midday munchies, or drink specials for folks to unwind after the long day. Use the Product template for this Black Friday campaign. Having experience working retail on Black Friday, I know there are folks out there who would love the opportunity to put up their feet after the busy weekend. Create a sweepstakes for a free massage, or other spa service, and give away a little TLC. You can set up the entry form where submissions are only accepted on Black Friday, which will help create a bit of urgency to enter. 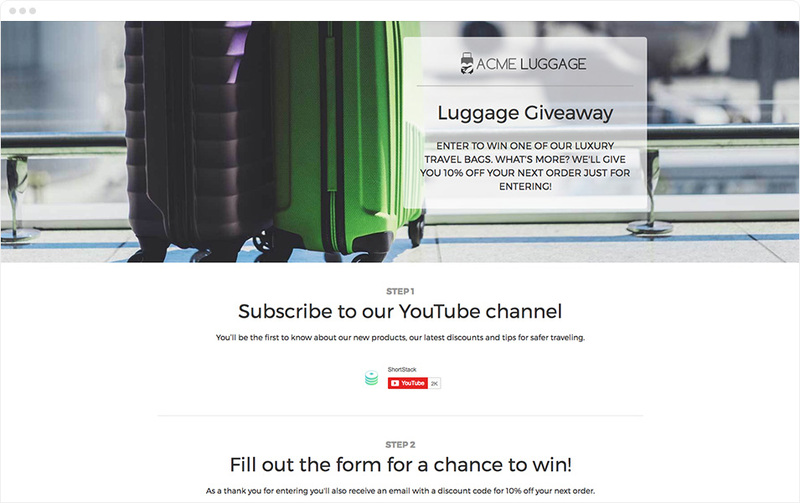 Use the Giveaway template for this Black Friday campaign. Take it to the next level: Send an email after form submission advertising your winter specials, or even a special treat for entrants. So, what you are waiting for? Go ahead and get started designing your Black Friday campaigns!